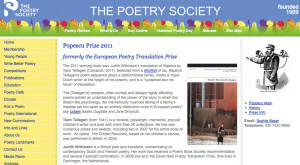 Judith Wilkinson is a British poet and translator. She grew up in the Netherlands and is fully bilingual, but she translates exclusively into English. After attending a Dutch grammar school, the Praedinius Gymnasium in Groningen, she moved to England to study English literature, first at Leeds University, where she obtained her B.A., and then at Manchester University, where she obtained an M.A. She then worked for some years as an English teacher at a British secondary school, before starting out as a freelance translator in London. In those years in London she translated mainly for the business world, while working on her own poetry in her spare time. During that time she also collaborated with the contemporary dance-theatre company The Kosh, who performed two of her poems. She lives in Groningen, the Netherlands. After a long gap in her working life due to illness, she now works part-time again (and has never missed a deadline). 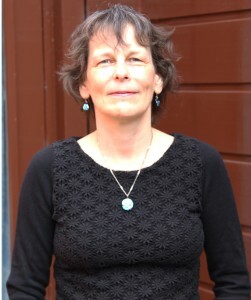 In addition to working on her own poetry, she translates contemporary Dutch and Flemish poetry. Judith has won many awards, including the Popescu Prize for European Poetry in Translation in 2011 and the Brockway Prize in 2013. In 2011 her work as a whole was nominated for a London Poetry Award.